When a terrifying blizzard struck off the snowy coast of Cape Cod in 1952, an oil tanker was ripped in half by the high winds and raging waters, leaving young engineer Ray Sybert (Casey Affleck) and his crew struggling to keep the boat afloat. When the Coast Guard picked up their signal, Bernie Webber (Chris Pine) was among the team of four who was sent out on a tiny life boat to rescue them. Staged as a good old fashioned disaster drama, The Finest Hours recounts the true story of this courageous rescue of over thirty men from aboard the doomed vessel, and it’s a competently made, well acted and sometimes stirring high seas adventure that is worth a look on Blu-ray. You can read our three views of the film right here. The Blu-ray also includes two deleted scenes, a recounting of the true story behind the film, and four relatively brief featurettes which focus on the modern heroics of the Coast Guard and the camaraderie that formed between the actors on set. 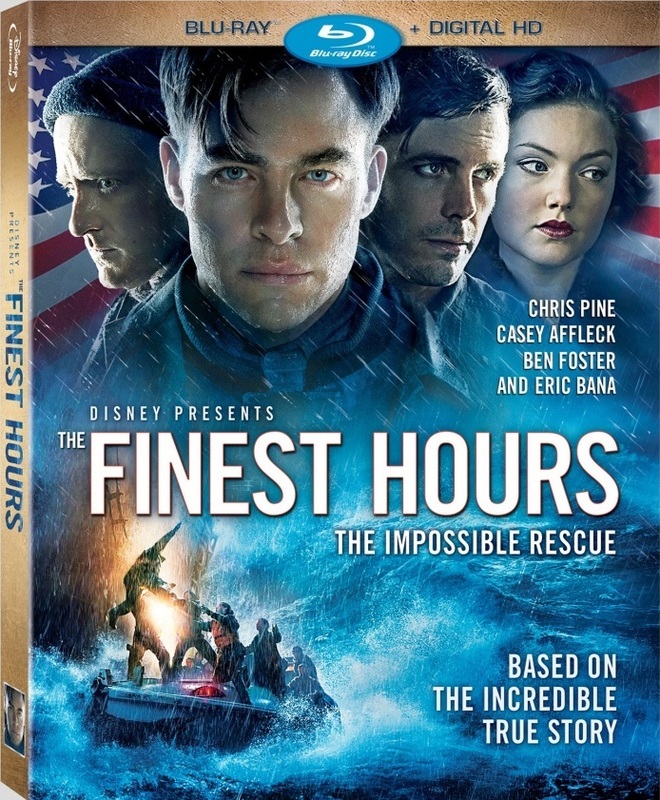 The Finest Hours is a Disney release. It’s 117 minutes and rated PG.